The history of Dominican Republic music was not heavily documented before Christopher Columbus "discovered" the ancient island of Hisponola. It was mainly vocal pieces with light or minor accompaniment. Once the Spainards and French brought over slaves to the island, the music turned into very rhythmic pieces with mostly percussion backgrounds because of the African. Some common instruments were tribal drums, maracas, hollowed out wooden logs (a form of percussion based from an Aztec drum) and bone and clay flutes. The Spainards brought over the guitar, which evolved and led to many different forms of dance. 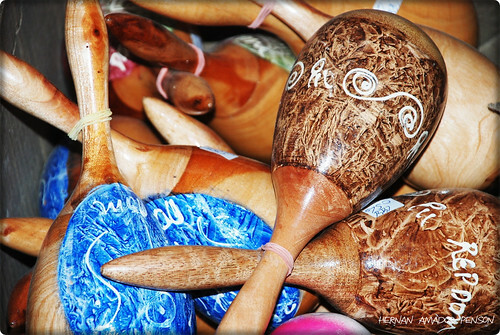 Menengue and Bachta are the major forms of music in the Dominican Republic. Bachta is played on the Spanish Giutar, and evolved from a simple two-step dance like many of the dominican dances have.